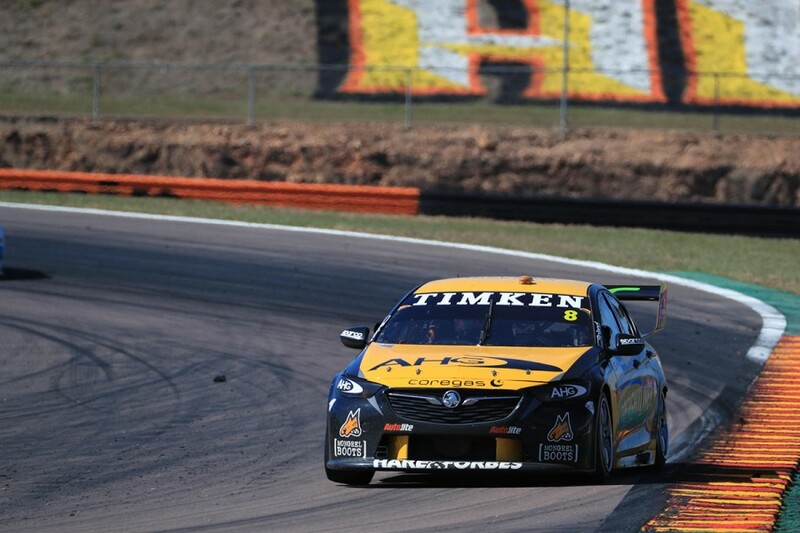 Nick Percat scored a pair of top 10 finishes at Hidden Valley, in his first weekend with Andrew Edwards as his full-time race engineer. 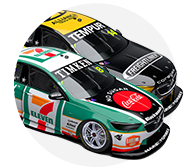 Percat has worked with Paul Scalzo since joining Brad Jones Racing at the start of 2017, other than this year’s Albert Park event. Scalzo was attending a wedding that weekend, when engineering manager Edwards stepped in to fill the breach. A switch was made before the CrownBet Darwin Triple Crown for Edwards to take over on the #8 Commodore full-time, while Scalzo worked with wildcard Macauley Jones. Percat finished ninth from 15th and sixth from fifth in the two Hidden Valley races, taking his 2018 top-10 tally to nine. “I enjoyed working with Scalz, but he’s just had a child so I think he’s going to be a bit more workshop-based, so he can spend more time with his wife,” Percat told Supercars.com. “That’s cool, it’s a good thing with BJR, it’s a big family team. “To have a replacement like AE is pretty good. I enjoyed working with him at the Grand Prix, so I had no issues coming here with him. “It’ll be something that just builds, because obviously at the Grand Prix the car was hooked up from Practice 1, where here he’s been trying to tune it on the fly and understand what I need from the car to go fast. Percat finished Friday practice 24th in the combined order, his running in the two sessions impacted by splitter problems on his Freightliner Commodore. The ensuing lack of fresh-rubber mileage hurt in ARMOR ALL Qualifying on Saturday, but Percat said the turnaround from there was “really encouraging”. “Obviously a few times this year we’ve come out on Friday, gone to the [top three] press conference and rolled out on Saturday and qualified nowhere and had really no race pace,” he said. 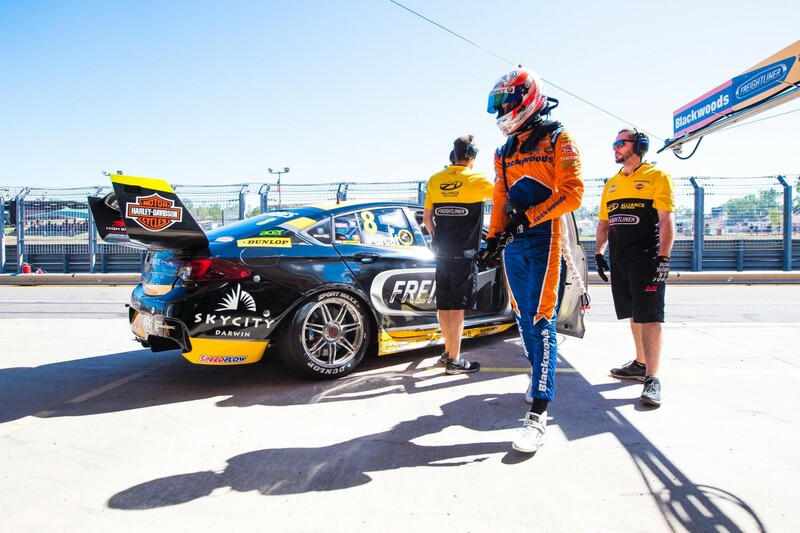 “Everyone’s worked really hard between Winton and Darwin to figure out what I need from the car and obviously Scalzo had a big part of that still, because it was only a decision that was made quite recently. 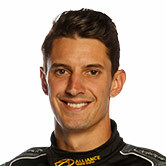 Sunday’s race was Percat’s 150th Supercars start, and he ran in the lead group of six from the outset. Having opted for an aggressive strategy by stopping first from that pack - and gaining track position - the 29-year-old ultimately finished right behind Rick Kelly. “We went fairly aggressive and tried to force the hand of a few people and put in a few quick lap times to jump everyone, but on the back of that you obviously hurt the tyre,” Percat noted. Percat leaves Darwin 12th in the points, one spot behind team-mate Tim Slade, who was 14th and 21st in the top end.